The Tyneside Cinema is one of Newcastle’s success stories. Formerly a newsreel theatre, it became the headquarters of the Tyneside Film Society, then, later, the Tyneside Film Theatre, before its final transformation into a beautifully restored three-screen emporium. Generations of film lovers, myself included, saw their first independent and foreign films here, and, when it was remodeled and relaunched in 2008, we all celebrated the Tyneside Cinema’s arrival. It lies at the centre of both the city and our region’s vibrant creative industries scene. So it’s right that the cinema should have a high quality eatery at its heart, somewhere for filmmakers to network and filmgoers to take their families, with really good food. 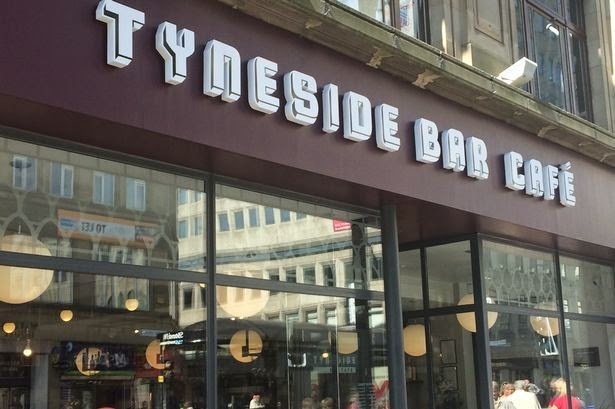 Last year the cinema acquired the bank next door (the building, not the bank itself), and turned it into the Tyneside Bar Café. 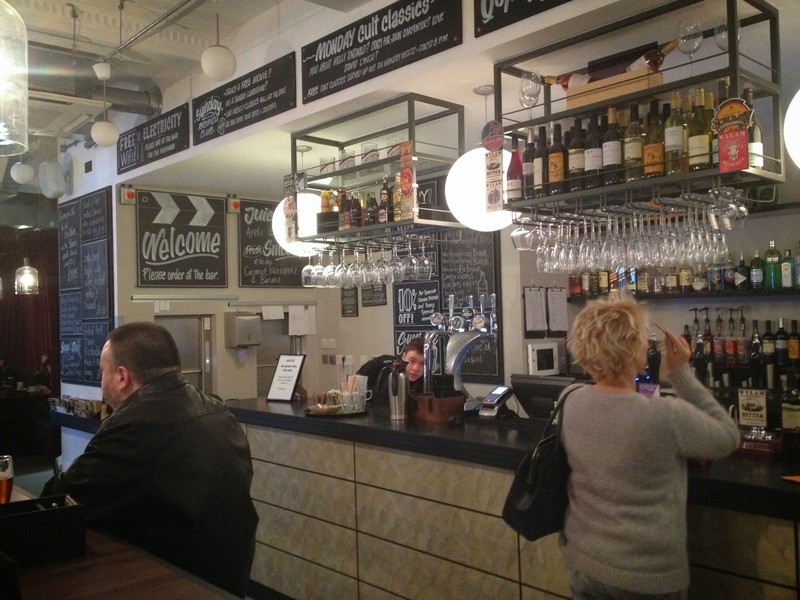 This place is a gem, even if you’re not actually going to the cinema, because they made the smart decision to get themselves a proper chef: in this case, Tom Adlam, who was Terry Laybourne’s sous chef at Café 21. As a result, everything is produced with a touch of (middle) class – from breakfasts (boiled egg and soldiers, crispy bacon sandwich, smoked salmon with your scrambled eggs, croissants and fresh baked muffins), to a more substantial brunch menu at weekends (try the thick cut streaky bacon and eggs, or eggs Benedict). An evening menu offers a small but enticing mix of burgers, hotdogs (both in brioche buns, naturally), fish curry, Spanish charcuterie, specials, salads and sandwiches. On the last two occasions Mrs Diner and I visited (never mind the Oscars, this last year has been a good one for gastromovies, with ‘Chef’ and ‘Hundred Foot Journey’ competing for my Best Gastrofilm gong), they weren’t taking bookings in the café, but we managed to get seated after a short wait. It certainly isn’t a place for a long, languishing dinner, or a romantic night out. This is an informal, buzzy, city bar with proper food. The interior is sleek, modern, all matt, smooth grey finishes and, like the movies they show, rather continental. Free wifi and guest beers make it a great place to hang out. 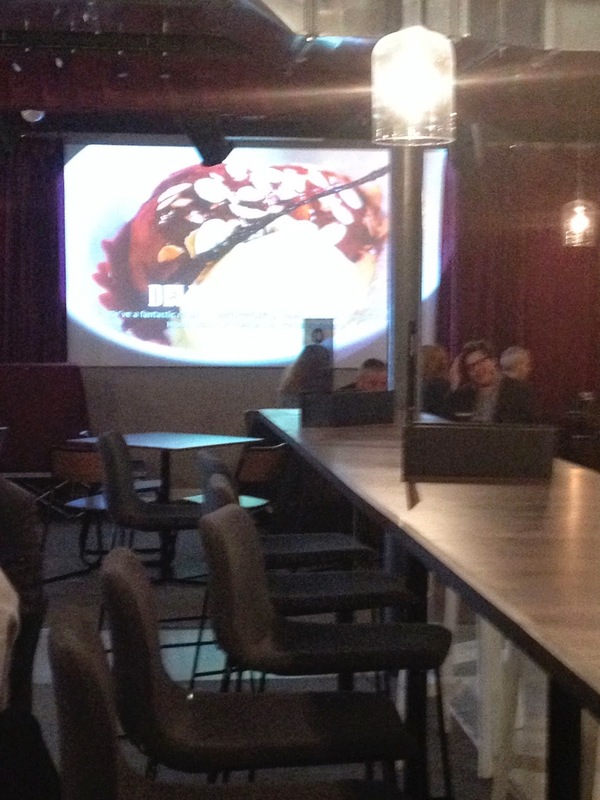 A third of the room is given over to a small cinema with curtains to close it off for screenings. Even when they run films, you can still hold a conversation in the café – this place really works. 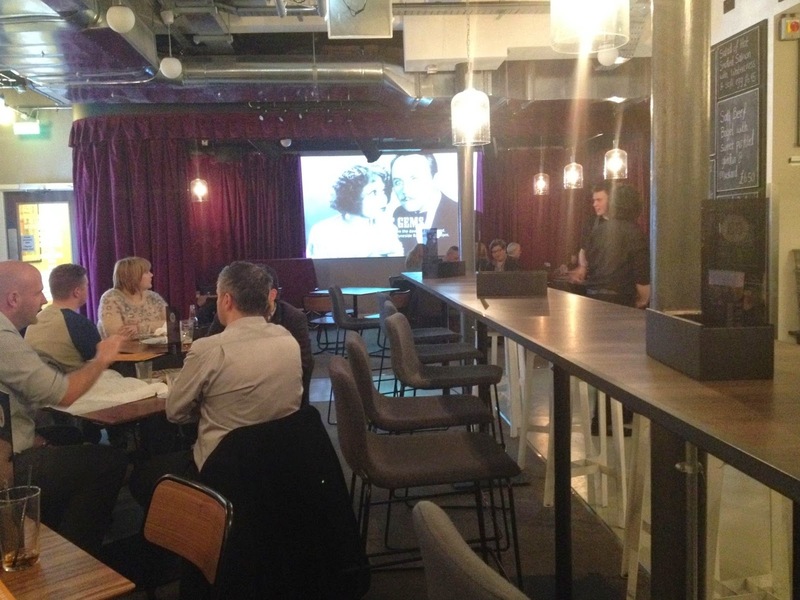 There are plenty of high stools around the bar and a long central sharing table where you can join complete strangers for a chat, some on their laptops, others having a pre-movie pint. Blackboards offer daily specials, like grilled mackerel with beetroot and watercress. 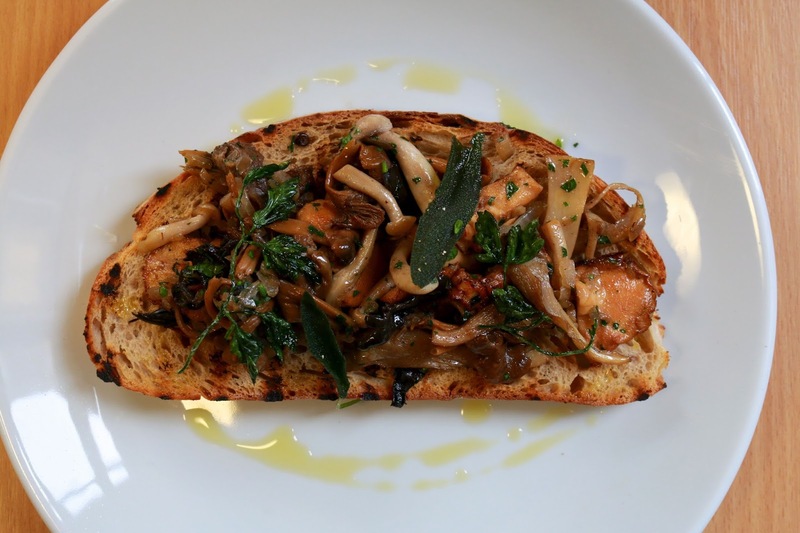 On our most recent visit, Mrs Diner had wild mushrooms on toast, with deep fried parsley and sprigs of thyme. A generous assortment of sliced and whole mushrooms in creamy cooking juices sat on top of great sourdough dressed with quality olive oil. 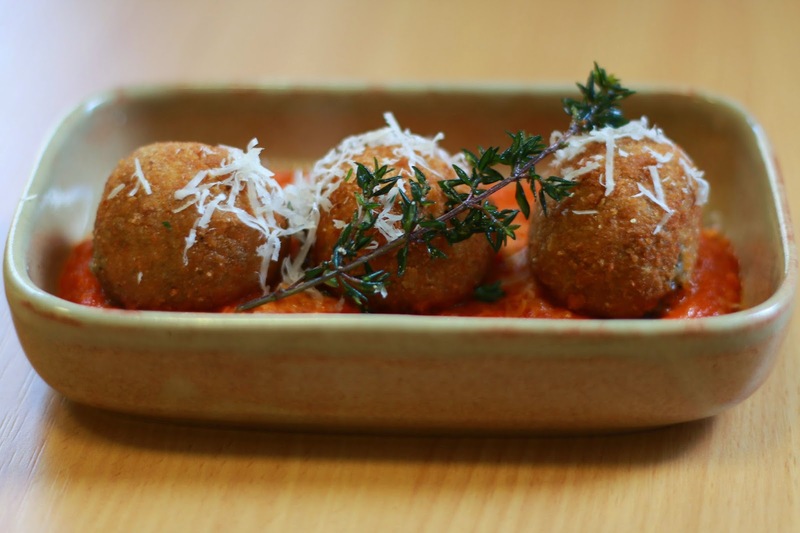 With some trepidation, I ordered arancini. I’ve endured some terrible rice balls in this city in places that really ought to know better, so this was a test. These were delicious, fresh, moist with Mozzarella and a really good crumb. The quality tomato sauce had a real kick. The burger was remarkably good, too, pink but firm, made from ground rib, with Ogleshield, Britain’s answer to raclette, melted into a delicious, pungent topping. 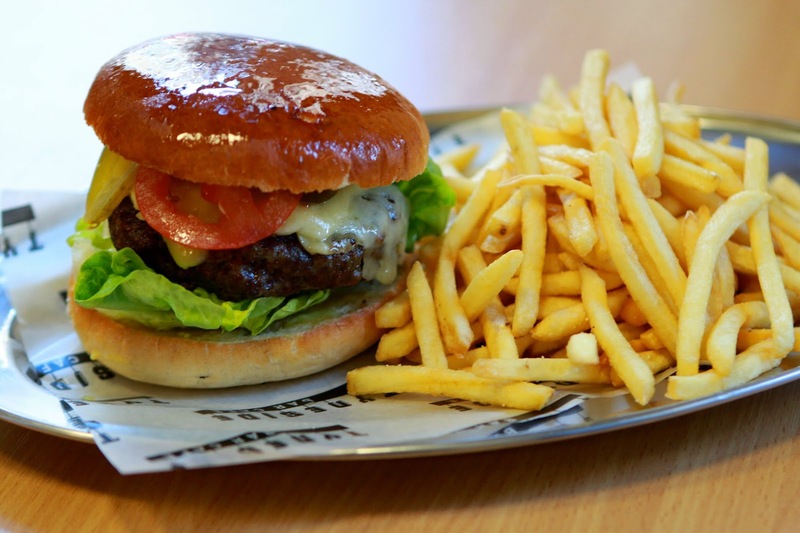 With a large brioche bun, this was a real gourmet burger, served with good crispy fries. 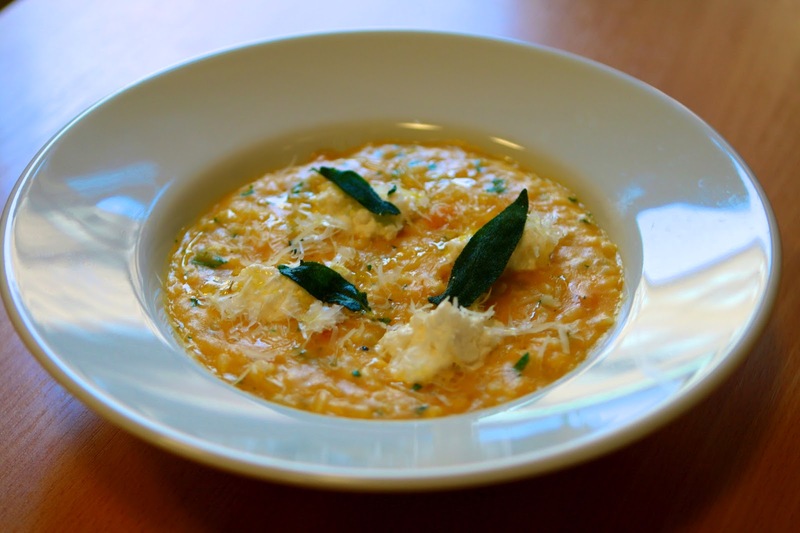 We also applied one of my other tests of a kitchen, the risotto. This was perfectly executed, butternut squash with little dobs of ricotta on top, and Greek basil as garnish. We ordered red slaw on the side: red onion, cabbage and carrot. This was strongly spiced, and Mrs Diner swore it had been sweetened with pomegranate molasses – I had no idea, but it tasted very fresh. 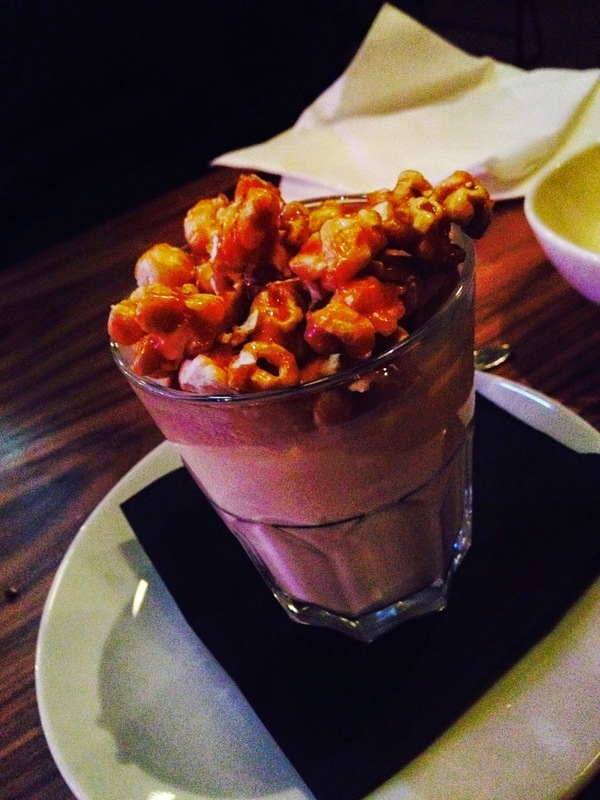 To follow, the popcorn pannacotta really popped. Sadly they’d sold out of chocolate and chestnut brownie. Next time. 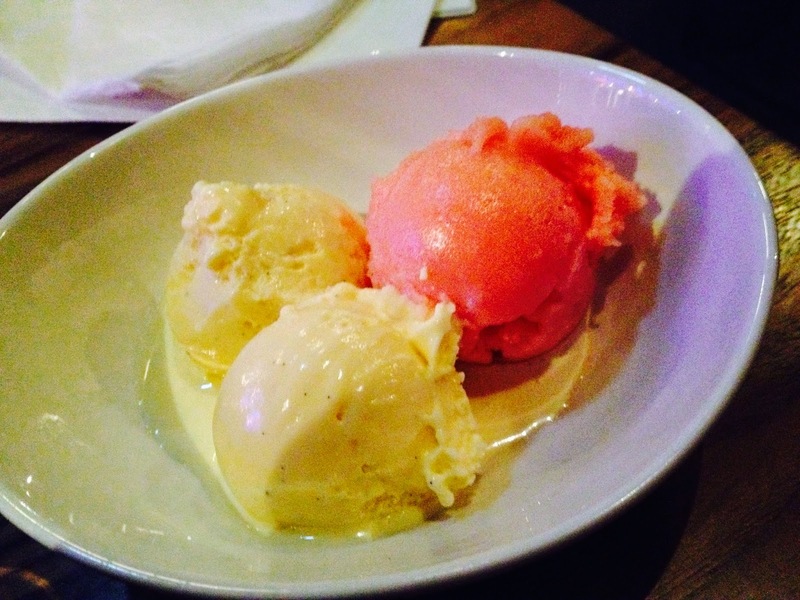 Instead, Mrs Diner had ice cream: blood orange sorbet with vanilla. There’s no table service: you order and pay at the bar, and there’s an small but reliable wine list, most of which is available by the glass (from £2.95 a glass). Main courses are between £7 and £9, desserts are £3.95. This place is a must if you go to the Tyneside Cinema, and a secret find if you don’t and just want good food that won’t break the bank. I’m pleased to report that they’re finally accepting reservations (see the dedicated number above). Their PR says there’ll still be plenty of room for walk-ups, but after this review, I’m not so sure. This classy café deserves to be packed.